RIO DE JANEIRO, BRAZIL – New construction scheduled for a complex of police stations, combined with announcements of the reinforcement officers and UPPs in Zona Norte (North Zone), has set the stage for an increasing police presence in the area. As the London Olympic Games end, international attention has shifted to the progress of Rio’s infrastructure and security programs in preparation of the 2016 Olympics. July saw the inauguration of a new building for the Fezendinha UPP station in Complexo do Alemão, photo by Bruno Itan/Imprensa RJ. Founded in 2008, Unidades de Polícia Pacificadora (UPPs) or pacifying police in favelas has grown to include 28 established units throughout the city of Rio de Janeiro. Fourteen are located in Zona Norte with two more, Parque Proletário and Vila Cruzeiro scheduled to be operational there by end of this month. In addition to reinforced UPPs, the three Zona Norte favelas of Complexo do Alemão, Complexo do Maré and Jacarezinho are expected to see significant increases in law enforcement officers. In Complexo do Maré, 2,600 police officers are expected to join transferred Catete officers from the Batalhão de Operações Policiais Especiais (BOPE) already in place. Also the favelas of Jacarezinho and Manguinhos will see the arrival of new law enforcement buildings between them. An area of 66,000 square meters is set to become the future home to fourteen police stations. The Special Operations Command will be the new headquarters of the BOPE. 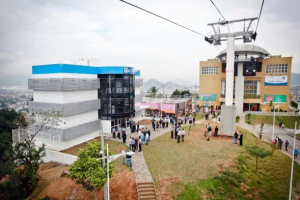 Located in a key area with easy access to Avenida Brazil and the Linha Vermelha (the Red Line), it will include the Shock Battalion and the Center for Specialized Instruction. The new CPP division is intended to improve UPP coordination and bridges within favela communities in Rio, photo by Salvador Scofano/Imprensa RJ. There are also plans for Policia Militar (PM) training center which will reportedly be complete with SCUBA tank, gym and shooting range. 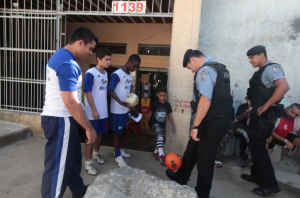 Complexo do Alemão, who saw its first UPPs (Police Pacification Unit) installed on April 18th of this year, is also home to Pacifying Police Coordination (CPP). Currently located in a former Coca-Cola factory in Itararé, the CPP are in charge of coordinating the city’s UPPs and recently welcomed additional transfers from the São Gonçalo Battalion. News of increased security and policing stations in Zona Norte comes on the heels of two recent fatalities during favela raids within the area. The tragic shooting death of eleven-year-old Bruna da Silva Ribeiro in the Quitanda favela in Cost Barros, and the July 23rd shooting of police officer Fabiana Aparecida de Souza in the Complexo do Alemão community. Both deaths brought attention again to the ongoing challenges faced during integration of law enforcement into favelas communities. Souza’s death marked the first lose of an officer in a pacified favela and occurred shortly after a report that gunshots wounds in Complexo Alemão were down while UPP officer’s dissatisfaction with their job had risen. An estimated 12,000 officers will be working in the UPPs throughout the city by 2014, when Rio will host the World Cup Finals at the Maracanã Stadium. The 2014 World Cup will happen in multiple cities throughout Brazil and begins Thursday, June 12, 2014, and ends Sunday, July 13, 2014.